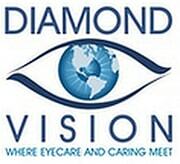 Welcome to Diamond Vision: The trusted name for Eye Care in Nassau County. When confronted with a sudden eye emergency we tend to panic, unsure of what to do, but determined to prevent any long term damage. This page will attempt to clarify for you whether your emergency requires immediate care, can wait until the next business day, or will clear up on its own. It is important to realize this is a general guide and the best bet would be to call our staff who are happy to help clear up for you the best option for your specific symptoms. We are always willing to help, should you ever experience an eye emergency. Our office provides emergency services for eye infections, eye injuries and other eye emergencies. State of the art equipment allows us to examine the front surface of the eye and also digitally scan inside the eye for infection or damage. This equipment also allows us to advise about LASIK & Refractive Surgery Co-Management. Something stuck in your eye after attempting to remove it. Eye injuries such as a black eye or allergic reaction near the eye. Scratched eye: Don’t touch and call us for an emergency appointment. Chemical Spill: Call us for more information. Eye Pain, red eyes, eye fatigue, itchy eyes, watery eyes. Apply ice, and schedule an eye exam. Objects stuck in the eye that penetrate the eye such as a fish hook or piece of glass. Chemical in the eye, flush with water, call us or proceed to first available medical care facility. For Floaters/Flashing light/Sudden Vision Loss Call our practice or visit a an emergency room. Extreme pain or heavy bleeding from the eye should be seen immediately. Styes are generally not dangerous and will clear up on their own. While Styes may not be of much concern, there are similar conditions that cause bumps on the eye that should have active treatment, therefore it is recommended to see our Optometrist with these symptoms. If anything is stuck in your eye for more than a period of a couple of hours, you must immediately cease all attempts to remove it yourself. Keep in mind that the eyes are an extremely delicate organ and any attempts to try anything extraordinary with them can only have negative and adverse results. If the foreign body you are talking about is not bothering you too much, then you are advised to visit an eye doctor to take care of it. If not you may need to call emergency service of your region. In the case of a chemical spill rinse with running water for 15-30 minutes then call your local Optometrist. Try to have someone identify where in your eye the object is located. If the object is under the upper lid, place the upper lid over the lower lid and roll your eyes. Blink your eyes for extended periods of time. If the object is not under your upper eyelid, attempt to gently wipe it with a wet piece of cotton. Place your eye under room temperature running water and rinse out the eye. I highly recommend Diamond Vision! go above and beyond to accommodate me. Never will you find a better home for your optical care. Wish all doctors were like him! I would recommend Diamond Vision! I would highly recommend this office for all your eye needs! will not be going anywhere else for my eye care. Throughout this process, I always felt that Dr. Galan would work with me until a solution was found. Definitely will be recommending to my family and friends. Anyone who is looking for a true expert in contact lens, should seek out Dr. Galan. This is best eye dr I have seen in my life. I travel all the way from New York City just to see this doctor. This is the Best practice on L.I. I would HIGHLY recommend Dr Galan and his team for both children and adults. EXCELLENT! do not hesitate to make your appointment with Dr. Galan. Very helpful. I recommend them. Very experienced professionals on Ortho-K.
wide selection of eye glass frames. Please give Diamond Vision a try!! I know that when my family and I go to Dr. Galan , we are getting the best care. I would recommend this practice to anyone looking for an optometrist. He is committed to his patients. The staff members are all very friendly and welcoming. Call Dr Shane today, you will be extremely happy! I always feel like a valued patient at Diamond Vision. Made reading easy again, despite the happy tears that flowed from my eyes. We recommend this practice highly. feel blessed to have him as my optometrist. Dr Galan and his staff are great. 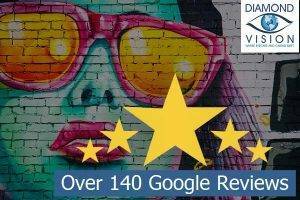 We can’t say enough about how lucky we feel to have found Diamond Vision! Their equipment is state of the art. He’s a good soul who genuinely cares about his patients. They cater to all of our eye care needs. He changed my life and I am forever grateful to him for that!!! Beautiful selection of frames to choose from. Every visit is a great experience. 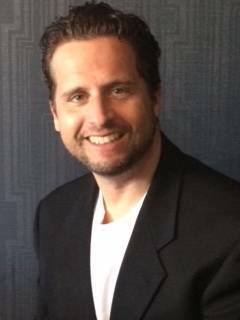 I highly recommend Dr. Galan and Diamond Vision in Rockville Centre!